Nuanced issues require a delicate hand because few things in life exist near any absolutes. Government shutdowns, however, are not a nuanced issue. Government shutdowns, like the the one currently affecting us because of a budget disagreement, are always harmful to the public and should never be allowed to happen. National parks employees, Transportation Security Agency (TSA) workers, farmers and ranchers under the Department of Agriculture, civil and immigration cases under the Department of Justice, workers for the Department of Housing and Urban Development, Department of Homeland Security and air traffic controllers are all either working without pay, furloughed with no work, or have their funds significantly slashed. Despite the funding restrictions causing citizens to work without pay, members of Congress who are refusing to do the job they agreed to do after being elected are still receiving a paycheck while bickering like children in serious need of a time out. In 2018, the annual salary of a congressperson not in a position of leadership was $174,000 according to salary report by the Congressional Research Service in April of 2018. Shutdowns create a dangerous situation for the people the government is supposed to protect. According to a report by the Japan Times, a woman traveling from Atlanta to Narita managed to bring along a handgun and ammunition through the overburdened Transportation Security Agency checkpoint at Atlanta International Airport which had lines lasting over an hour to 90 minutes on Jan. 14. Kip Hawley, former TSA administrator from 2005 to 2009, said that long security lines are security risk with the large grouping of people waiting in lines. According to PolitiFact, it costs between $12-20 million more an hour to run a government during shutdown — it’s more expensive to run a closed government. An analysis from the 2013 shutdown that lasted 16 days discovered that the consulting firm IHT Global Insight estimated that it cost the government $12.5 million an hour to furlough 800,000 workers. This shutdown should be deemed immoral, because representatives have a duty to serve the public, and regardless of agenda that precipitates the shutdown, the harm it causes violates that duty. It would be considered equally immoral, though with less harm, for someone to continue receiving pay for work that was not being done. According to U.S. News, the main areas being directly affected by the shutdown are social security payments, travel abroad, recreation, federal taxes, medicare, veterans affair care, federal judiciary, health services, federal employees and contractors and loan applications. These effects have a direct correlation to our nation’s health, safety, financial stability and well-being in general. According to USA Today, 800,000 federal workers who are headed toward missing their second paycheck next week. 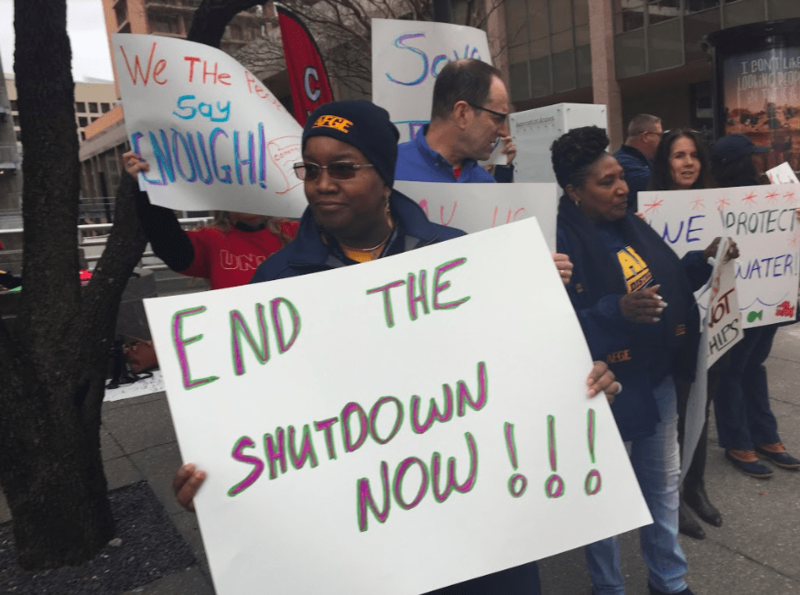 Therefore, federal workers are also struggling due to the effects of the shutdown. The shutdown is creating paupers out of the public servants who serve and maintain the momentum of our nation. To help pay the bills, some have resorted to part-time jobs or soliciting donations through crowdsourcing websites. Across the country, airline passengers are facing sporadic crowding at airports because Transportation Security Administration workers are calling in sick, and some national parks and monuments are either closed or in bad shape because the trash isn’t being picked up and bathrooms not cleaned, according to USA Today. Beggaring hard working individuals has no justification. Requiring public servants to find other jobs because of a budget disagreement should never be allowed as a justification, and those who do not fight against it are complicit in the act.